Chinese Smartphone manufacturers are having a tough time selling devices at home and in the U.S. Falling sales in China and the ongoing trade war between the U.S. and the Chinese governments have resulted in these companies focussing on Europe instead. The consumers in the continent now seem to be cherishing the idea of a better value for money offered by Chinese devices, giving Chinese brands an opportunity for growth. 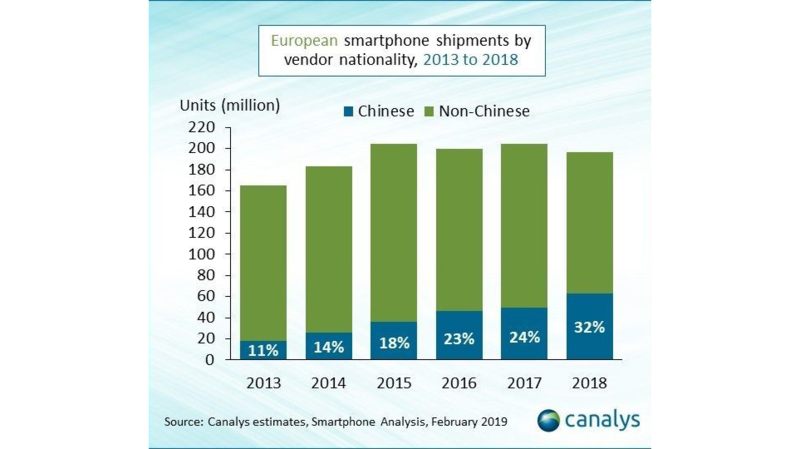 As per research firm Canalys, Chinese brands captured 32% of the European market in 2018, with Huawei and Xiaomi as leaders. While the overall smartphone sales in Europe shrank by 2%, Chinese brands saw a surge of 27% in 2018. 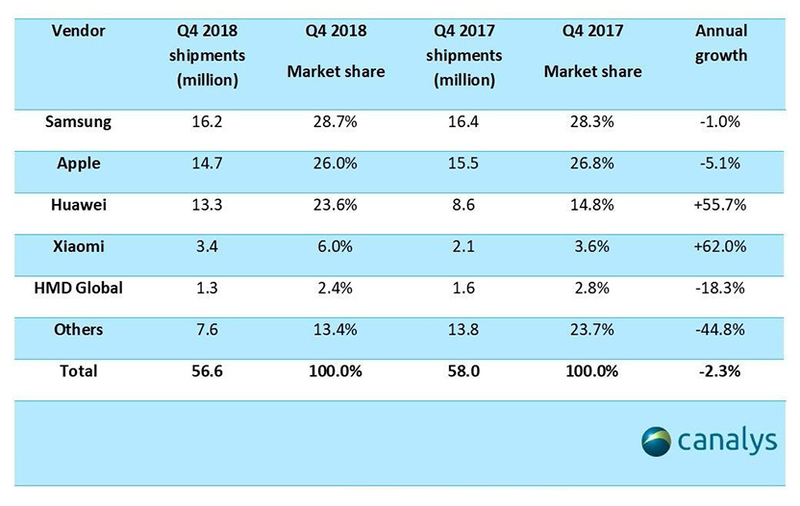 Samsung and Apple continued to remain the top brands in Europe, but their shipments in the fourth quarter of 2018 fell by 1% and 5% (year-on-year), respectively. On the other hand, Huawei and Xiaomi grew by 55% and 62%, respectively. Finland’s HMD Global, which resurrected the Nokia branding, saw an 18% decrease in shipments. However, it managed to remain among the top 5 in the region. The “sharpest declines” were seen in countries with high average selling prices (ASPs), including the UK, Germany, and the Nordic countries, due to minimal innovation, higher prices of new models, and longer upgrade cycles. In contrast, the segment of smartphones priced between $200 and $350 saw a 20% increase in sale in countries with lower ASPs, such as Italy, Russia, and Spain. Just like in China, Huawei’s growth in Europe was based on the success of the Huawei Mate 20 series. Overall, the brand sold 12 million more smartphone units in 2018 compared to 2017. 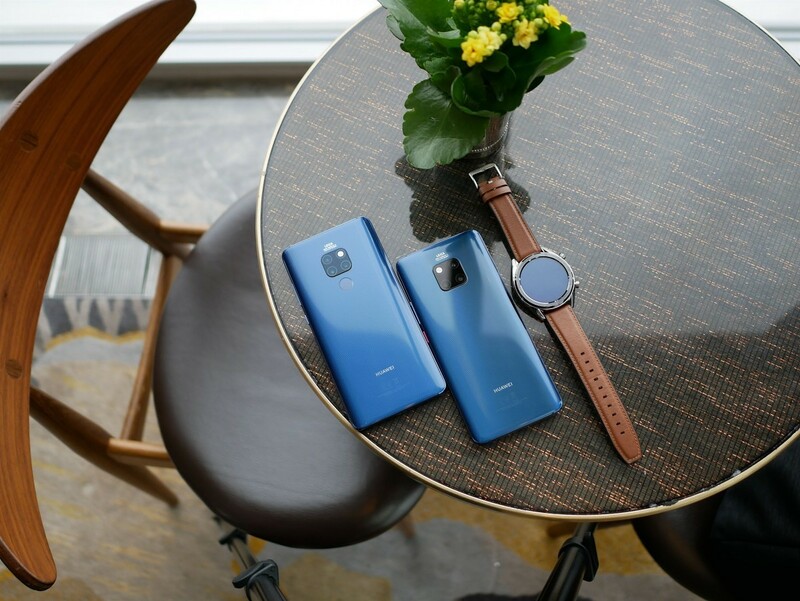 Likewise, Xiaomi benefited from the popularity of high-caliber affordable phones such as the Pocophone (POCO F1). However, while Huawei managed to sell 13.3 million units in Europe during the last quarter of 2018, Xiaomi sold only 3.4 million smartphones during the same period. Ben Stanton, senior analyst at Canalys said, “The US administration is causing Chinese companies to invest in Europe over the US. The European market is mature, and replacement rates have lengthened, but there is an opportunity for Chinese brands to displace the market incumbents.” He added that in 2019, Chinese brands have an opportunity to grow in all segments of the European market.